When it comes to sending information to a company's clients or to promoting a new product, it's necessary to use an application that allows you to send mass emails, as is the case of Turbo Mailer. Mail with text and HTML contents. Multi-threaded SMTP, to perform the sending process with the utmost stability. 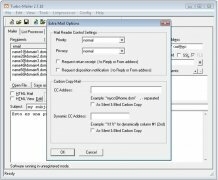 BCC option to reduce the bandwidth used. Control from the command line. 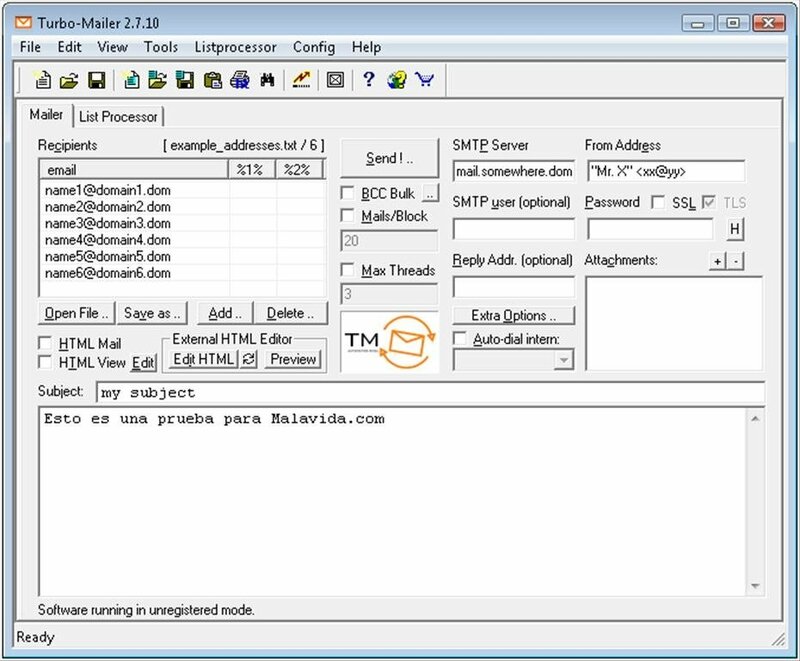 Furthermore, Turbo Mailer can be used to send messages with attached files and images. 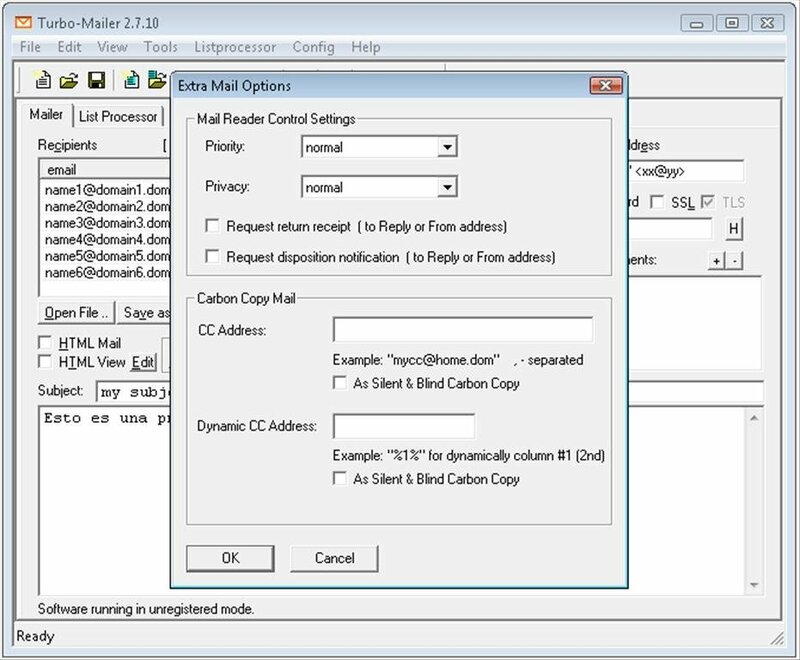 To make using the application easier and to be able to start working as quickly as possible, Turbo Mailer has been designed with a very clear interface that's very easy to configure. 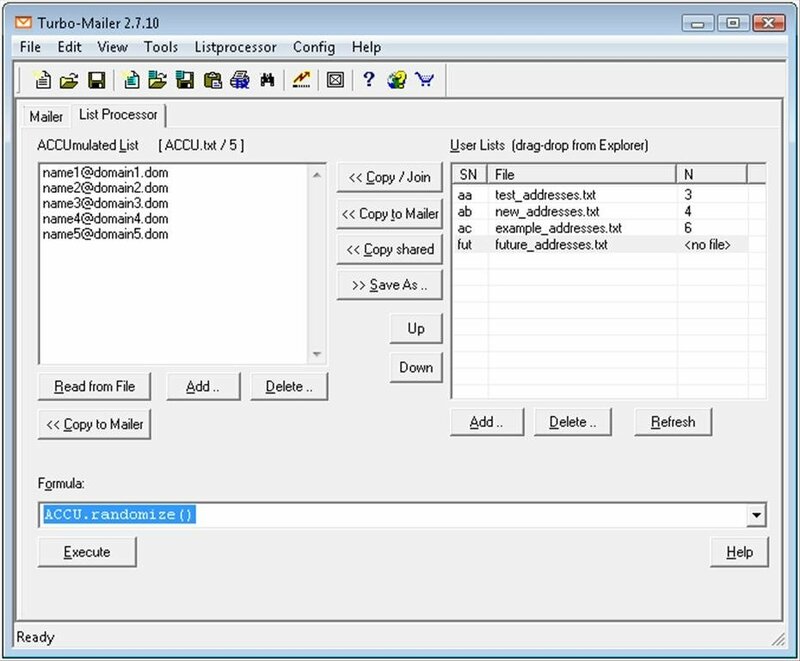 Therefore, if you want to automate the process of sending mass emails, you only have to download Turbo Mailer.